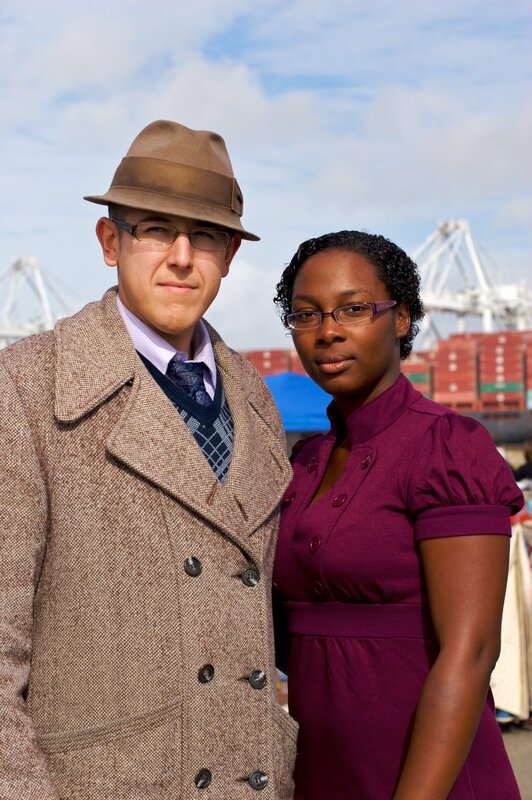 Raynell: "What inspires my style is just a classic elegance. I like to be a little bit different." Tony: "What inspires my style is I guess basically 1940s-1930s type deal that I like to wear." I love how Tony has a cane and looks the part of a guy straight out of the 1930s. Raynell looks great in her violet dress and chic heels. Even Raynell's eyeglass frames are violet. 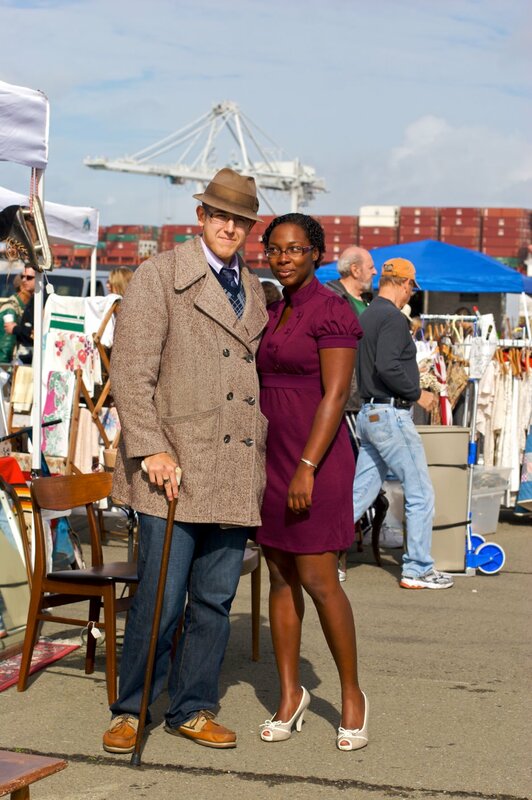 A look at their stylin', but maybe not the best for walking around the Alameda Flea Market. 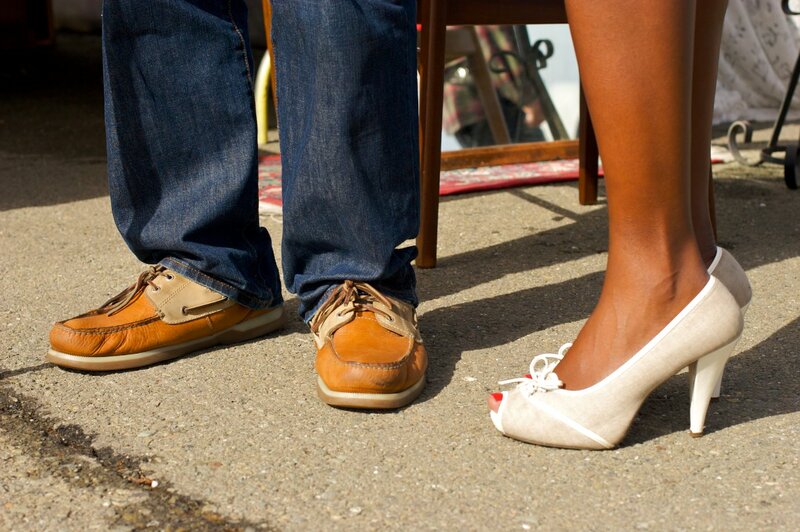 The best dressed people go to the flea market! My fav photos are the ones you get here! !